Program Chair: The Second International Conference on Intelligent Systems and Computer Vision, ISCV'17, April 17-19, 2017, Fes-Morocco. General Chair: International Computer System and Information Technology, ICSIT'05 (IEEE/ CDTA), July 19-22, 2005 Hilton Hotel, Algiers. Vice Chair: The 9th International Workshop on Systems, Signal Processing and their applications (WoSSPA'13), May 12-15, 2013 Mazafran Hotel, Algiers, Algeria. 2012 IEEE World Congress On Computational Intelligence (WCCI 2012), June 10-15, International Convention Center, Brisbane, Australia. Third International Conference on Agents and Artificial Intelligence (ICAART 2011), 28-30 January 2011, Rome, Italy. International Conference on Machine and Web Intelligence (ICMWI'2010), October 3-5, Algiers, 2010. The Fifth International Workshop on Artificial Neural Networks and Intelligent Information Processing (ANNIIP 2009), 4-5 July, 2009, Milan, Italy. The 13th IASTED International Conference on Artificial Intelligence and Soft Computing (ASC 2009), September 7-9, 2009, Palma de Mallorca, Spain. International Conference on Agents and Artificial Intelligence (ICAART'2009), 19-21 Januray 2009, Porto, Portugal. The 19th International Conference On Pattern Recognition (ICPR 2008), Dec. 8-11, 2008, Tampa Convention Center: Tampa, Florida, USA. Multi-Conference on Computer Science and Information Systems: International Conference: Intelligent Systems and Agents (IADIS 2008), Amsterdam, Netherlands, 22-27 July 2008. The first IASTED International Conference on Visual Communications (VC 2008), March 17 – 19, 2008, Innsbruck, Austria. The 11th IASTED International Conference on Artificial Intelligence & Soft Computing (ASC 2007), August 29-31, 2007, Palma de Mallorca, Spain. Multi Conference on Computer Science and Intelligent Systems: International Conference: Intelligent Systems and Agents (IADIS 2007), Lisbon. Portugal, 3-5 July 2007. The 9th International Conference on Enterprise Information Systems (ICEIS 2007), 12-16, June 2007, Funchal, Madeira, Portugal. The 10th IASTED International Conference on Artificial Intelligence & Soft Computing (ASC 2006), August 28-30, 2006, Palma de Mallorca, Spain. The 9th IASTED International Conference on Artificial Intelligence & Soft Computing (ICAISC 2005) September 12-14, 2005 Benidorm, Spain. The Irish Machine Vision and Image Processing Conference (IMVIP 2005), August 30-September 1, 2005 Queen's University Belfast, Northern Ireland. 8th International IEEE Conference on Intelligent Transportation Systems (ITSC 2005), 13-16 September, 2005 Vienna Austria. International Journal for Information Technology: International Conference On Software And Knowledge Engineering, (SKE 2005), February 25-27, 2005 Istanbul Turkey. The 7th International Conference on Enterprise Information Systems, Miami, May 24-27, 2005. The 6th International Conference on Enterprise Information Systems (ICEIS 2004), Universidade Portucalense, Porto - Portugal 14-17, April 2004. 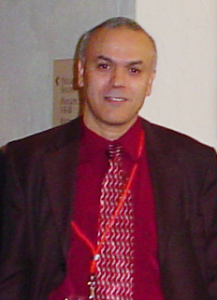 The 7th Maghrebian Conference on Computer Sciences, Annaba, Algeria, May 6-8th, 2002. Pattern Recognition and Machine Learning in The 9th International Workshop on Systems, Signal Processing and their applications (WoSSPA'13), May 12-15, 2013 Mazafran Hotel, Algiers, Algeria. Smart Engineering System Design Neural Networks, Fuzzy Logic, Evolutionary Programming Complex Systems and Artificial Life (ANNIE 2004), Nov. 7-10, 2004, Marriot Pavilion Hotel, University of Missouri, St. Louis. The IEEE Midwest Symposium on Circuits and Systems August 14-17 2001, Holiday Inn, Fairborn Ohio. Second IEEE Electro/Information Technology Conference held at Oakland University, Rochester Michigan, June 7-9, 2001. The 1999 International Conference on Imaging Science, Systems and Technoslogy (CISST'99) held in Las Vegas from June 28th until July 1st, 1999, Associate Editor for the Proceedings of the Conference.